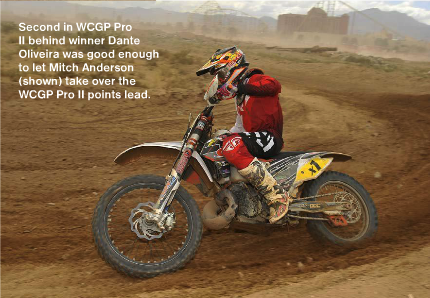 After winning the season opening Adelanto Grand Prix, bad luck hit Fasthouse Honda’s Blayne Thompson, as he recorded finishes of 6-5-DNF in subsequent rounds of the AMA District 37/Maxxis Big 6 Grand Prix Series. 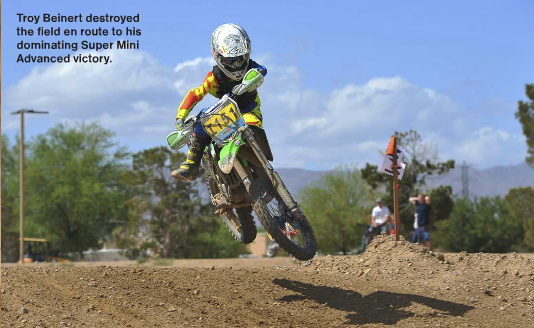 But he didn’t let that dissuade him and his persistence—as well as his innate speed—paid off with victory at the unpleasantly windy State Line Grand Prix, May 6-7, hosted by the Shamrocks Motorcycle Club, and the AMA Big 6 West Coast Grand Prix (WCGP) Series, its 90 minute feature race. Ox Motorsports Honda’s Zach Bell grabbed the lead briefly in the middle stages but had to settle for second, though he remains the points leader. Defending series champ Eric Yorba claimed third, the Maxxis/FMF/RPM Racing KTM rider also spending a few minutes up front at one point. 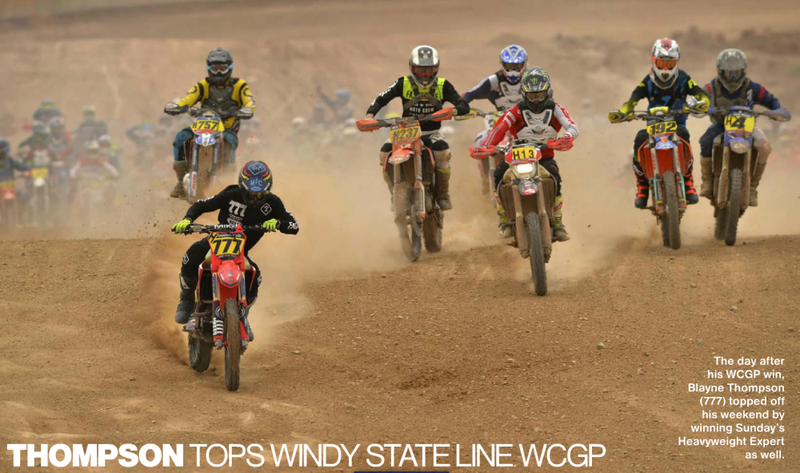 The Maxxis/TBT Racing/Bell Helmets CRF450R rider added, “You always want to win, but this time I had to make sure I had the win out here. The other ones, I was going, ‘All right, we know we have the speed and everything,’ but this one we made sure we had to get it. We had a good start and I knew the dust would be a factor with everybody so that’s what I focused on. The WCGP Pro II race saw Maxxis/FMF/RPM Racing KTM’s Dante Oliveira get out front early and hold off CST KTM rider Mitch Anderson by a scant five seconds at the finish. Northland Motorsports Kawasaki’s Clay Hengeveld was another 39 second back for third in class as the trio finished 10-11-12 overall.